Fans of the Seinfeld Show may remember Elaine’s dilemma when her favorite form of birth control was being discontinued, leading to her and other characters’ decision to stockpile her brand and to wonder whether her dates were “sponge-worthy.” If you read the headlines last week about changes to the Affordable Care Act mandates, you may have thought that fiction had become fact as groups such as Planned Parenthood and NARAL turned on the hyperbolic sirens claiming the end of birth control was near. Fake news personified. The reality is that birth control is everywhere and will continue to be. The mandate changes “ban” nothing; the issue is who pays for it, and can you force people, like hard working nuns, to buy something that they find morally suspect. In essence, the Trump administration mandate changes restore choice to the healthcare mandate, as people can now act as their consciences dictate. During the healthcare debates the canard “if you like your doctor, you can keep your doctor” was not the only promise broken. Assurances were made that the First Amendment Conscience Rights of people of faith would be protected, allowing people to decline to pay for things like life-ending drugs, devices, and procedures, like abortions. Groups like mine, Students for Life of America, were told that our values would be respected and that we would not be forced to participate in the anti-life culture of abortion. But when the plans came out, the choice for life wasn’t allowed. Instead, abortion advocates were front and center as the mandates — regulations requiring every insurance plan to cover listed services — were created by a group of unelected bureaucrats. 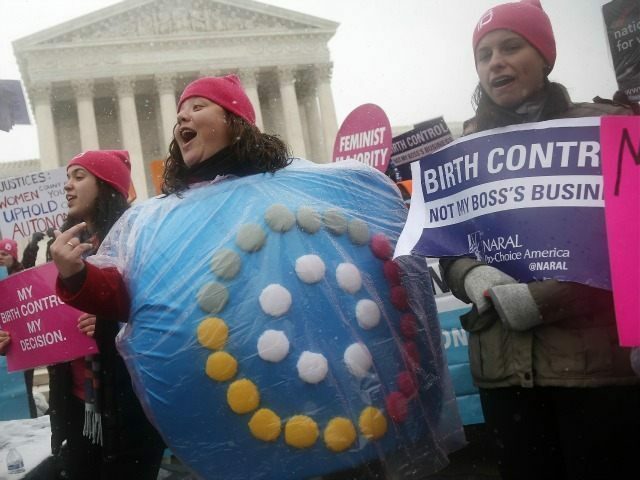 Not only were people of faith and conscience forced to cover contraception, something that some Americans oppose, but the abortion lobby won a great victory when pregnancy, yes pregnancy, was labeled a “preventable disease” therefore making true contraceptive devices (condoms, diaphragms, etc.) as well as potentially life-ending drugs and devices (IUDs, birth control pills, the morning-after pill) that have been deliberately mislabeled for decades as “contraception” all required services in American healthcare plans. As a result, companies like Hobby Lobby (which offered traditional birth control to employees) and Little Sisters of the Poor (who oppose birth control as a matter of faith), had to go to court to document the many ways that the anti-life policies in the mandates affected real people. The mandates also had a stealth abortion provision, forcing some taxpayers enrolled in an Obamacare plan to pay into an abortion slush fund. Now, abortion will not be subsidized by tax monies and Obamacare plan participants won’t be forced to pay for it. Those wanting abortion coverage will have to opt-in and pay separately. To be perfectly clear, Abortion is not healthcare. In the Obamacare mandates, the American taxpayer was forced into business with Planned Parenthood and the abortion industry as new income streams were created for the billion-dollar abortion industry. The Trump Administration changes to the healthcare mandates are a good start in reining in the abortion industry overreaches, but only a beginning. No taxpayer dollars should go to abortionists, like those at Planned Parenthood, which is still raking in more than half-a-BILLION dollars a year in taxpayer monies. Planned Parenthood must be defunded – whether through changes in the healthcare law, in the tax proposal, or any other bill that legislators want to introduce. Anyone wanting birth control is free to buy it. What has changed is that no one will be forced to make that choice. The “Elaines” over at Planned Parenthood, NARAL, etc. can take a breath and stop trying to scare women into stockpiling their sponges. Kristan Hawkins (@KristanHawkins) is president of Students for Life of America, the nation’s largest pro-life youth organization.